High-quality photos can make a significant impact on the success of your marketing efforts. Humans are visual creatures, and whether consciously or subconsciously, we are impressed by attractive imagery. Beautiful photos show you care how your business is presented to the world. They can convey your business values and ultimately persuade a customer to contact you. 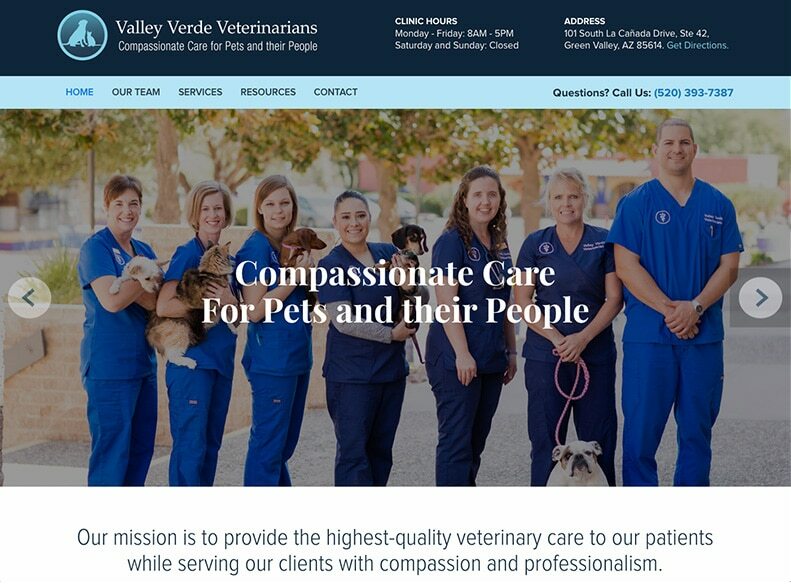 One of my favorite recent projects was a website and ad campaign for Valley Verde Veterinarians in Green Valley, Arizona. The clinic owners could have simply purchased stock photos of cute animals, but instead they hired Audria Abney, an excellent local photographer. 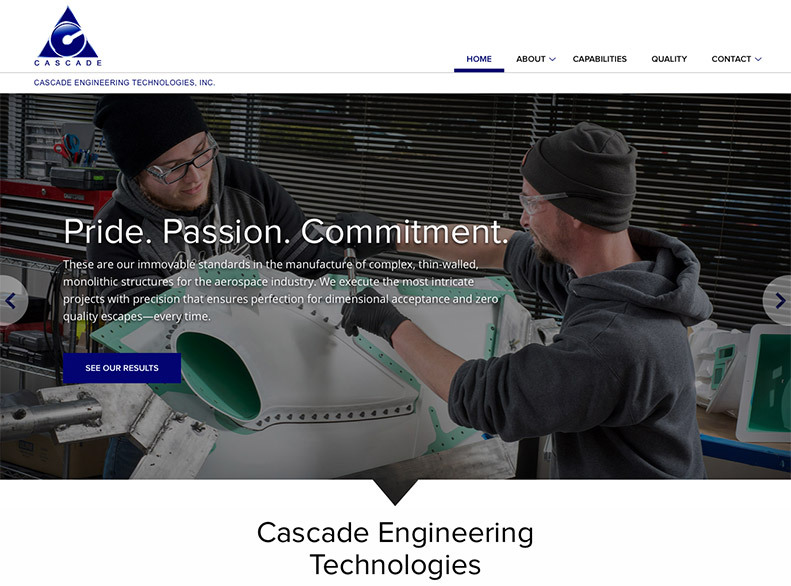 Their new website now features gorgeous, unique imagery, making the entire site design more customized and engaging. As the designer on the project, I found Audria’s photos made working on the project a delight. We also easily repurposed the imagery for print and web ads in the Verde Independent newspaper. 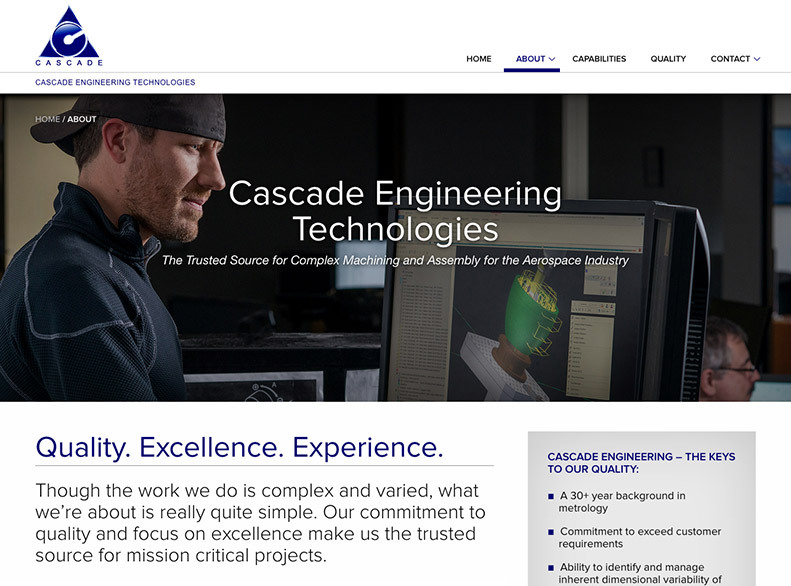 Another recent client, Cascade Engineering Technologies, hired the talented photographer Edis Jurcy. His fabulous photos elevate the overall design of their new website. The images illustrate the dedication of the company’s employees and their commitment to precision and excellence. If you have an upcoming project and room in your budget, consider hiring a photographer with a compelling portfolio. He or she will help capture the best parts of your business and convey them to your customers. The resulting photos can be repurposed for all your marketing efforts — whether it be a website, banners, print ads, brochures, and more. 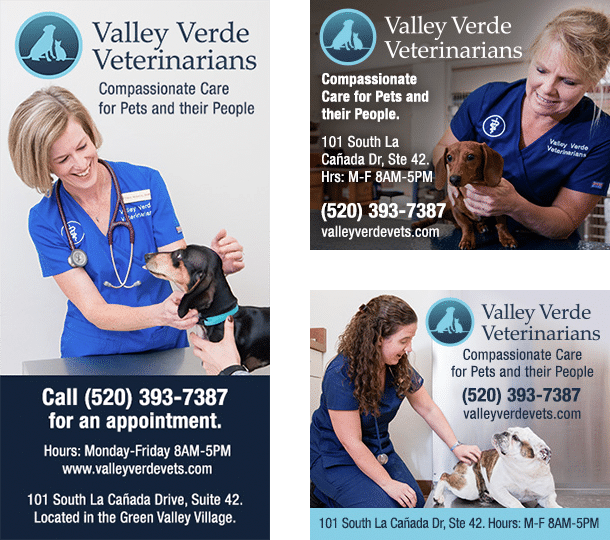 As it has for Valley Verde Veterinarians and Cascade Engineering Technologies, commissioning high-quality photography may prove to be an invaluable investment for your business.